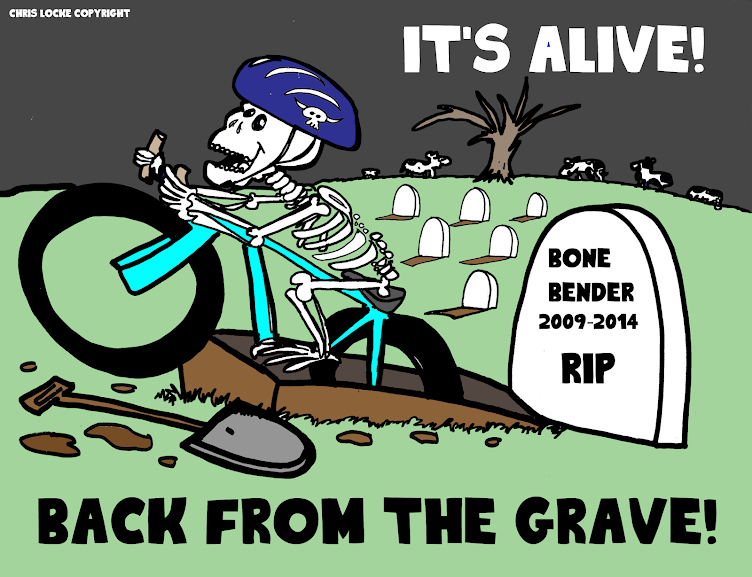 The 3rd Annual Bone Bender 3/6 Hour MTB Odyssey makes the move to Clinton State Park for 2011. Come join over 300 off-road enthusiast as they test themselves on the North Shore Trail System. 3 or 6 hours of fun - your choice. Come enjoy some of the sweetest and challenging trails in the Midwest. Party with your friends and just have a grand old time. New for this year: Dri-Fit t-shirt, added Sport level classes and a 3 person relay division, increased payout to the Men’s and Women’s open divisions, dinner and awards ceremony. Plus more to come. Venue: Clinton State Park is a 1500 acres park located on the northeast shore of Clinton Reservoir just outside of Lawrence, Kansas and features a 25 mile hike/bike trail, 5 mile cross country ski trail, 1 mile self-guided nature trail, archery range, swim beach, sand volleyball, 2 9-hole disc golf courses, 5 acre trout pond, 1 acre children’s fishing pond, accessible shoreline use trail, fish cleaning station and 2 fish feeders, 4 playgrounds and 460 camping sites are available (240 with electric and water). Come out this Saturday for a free clinic on winter bicycling! while riding through KC’s challenging winters. Then come on out to one of the Guru's Gravel Grinders to put things into practice.